Harvey is beginning to lose tropical characteristics as heavy rain spread toward the Ohio valley on Sept. 1. NOAA’s GOES East satellite provided a visible image of the clouds associated with the depression. On Sept. 1, 2017 at 10:45 a.m. EDT (1445 UTC) NOAA’s GOES East satellite captured this visible image of the clouds associated with Post-Tropical Cyclone Harvey blanketing the Tennessee and Ohio Valleys and extending into the Mid-Atlantic region. 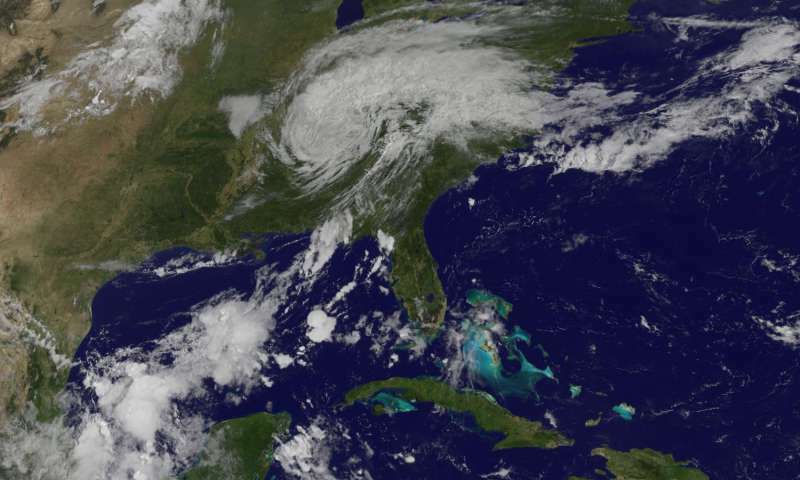 The NASA/NOAA GOES Project at NASA’s Goddard Space Flight Center in Greenbelt, Maryland created an image. NOAA manages the GOES series of satellites and the NASA/NOAA GOES Project creates images and animations from the data. NOAA’s Weather Prediction Center said Post-Tropical Cyclone Harvey is expected to produce an additional 1 to 3 inches of rain from western Kentucky into southeastern Indiana, southern Ohio and western West Virginia. Locally higher totals of 4 to 6 inches are possible around northern Kentucky. These rains will enhance the flash flooding risk across these areas. Meanwhile, widespread severe flooding will continue in and around Houston, Beaumont/Port Arthur/Orange, and eastward around the Louisiana border through the weekend. NOAA’s Weather Prediction Center noted that radar and satellite imagery show a loss of most tropical characteristics. Much of the moderate to heavy rains are organized to the north of the circulation center ahead of a warm front.